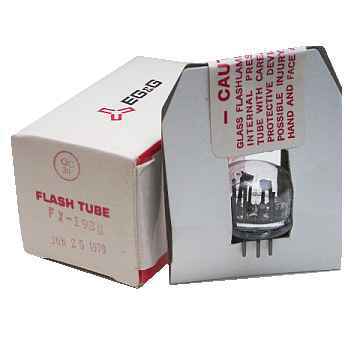 This is an original EG&G FX-193U Xenon Broadband Continuous Spectrum Flashlamp Tube. A rare antique, hard to find, classic collector's special flash tube. These tubes were used in many strobe lights photometry, radiometry and spectroradiometry equipments and special circuits. Excellent for those antique instrument restoration projects or to set up a private vacuum tube museum. Tube data for reference only - no longer available!